The 2019 ICC Banking Commission’s Annual Meeting kicked off today in Beijing, bringing together over 640 banking executives and government officials from more than 59 countries. This year’s agenda examines the most pressing issues facing government, business, finance and trade. Day one considered the rise of protectionist economic policies and the shifting global supply chain. Participants also discussed strategies and methods for improving access to trade finance for small- and medium-sized enterprises. Over the course of the past few years, support for the multilateral trade system has been waning, as a result of anti-globalisation rhetoric. In many cases, the election of populist leaders in several countries has led to a rise in protectionism and increased hostility toward global trade. During today’s second plenary session, delegates and panellists discussed the ramifications of on-going geo-political shifts on the outlook for global trade. Over the past year, developments such as the US-China trade tensions and Brexit, have demonstrated a preference by some world leaders for the pursuit of bilateral trade agreements, rather than abiding by the norms set forth by multilateralism. Panellists from the banking industry questioned their role in the face of declining multilateralism. As the conversation unfolded, two key questions emerged: Are banks providing enough support for these new trade flows? Is greater collaboration needed? These are questions that will continue to face the industry in the immediate future. As part of his keynote address, ICC Secretary General John WH Denton AO reflected on the changing dynamics of the international system. “We have more to gain through cooperation than through unilateral action. As a banking community that stretches beyond borders, you embody this shared economic interest,” he said. Earlier in the day, during the event’s first breakout session, participants discussed the need to improve access to trade finance for small- and medium-sized enterprises. The session, which was chaired by Doina Buruiana, Project Manager at ICC Banking Commission, took a close look at the short-, medium- and long-term solutions aimed at improving access to trade finance. Some of the solutions mentioned included the introduction of alternative funding providers and new methods of credit risk appraisal. Panellists also noted the importance of harmonising regulatory and compliance requirements, as a means of increasing access to trade finance. Oftentimes, these requirements are unduly complex for business and create unnecessary barriers to access for those who need financing the most. In addition, the session discussed the results of a new global survey on financial inclusion, released by BNY Mellon with support from ICC. The survey, “Overcoming the Trade Finance Gap: Root Causes and Remedies,” examines the causes of the global trade gap and asks participants for strategies to address it. The results reveal that trade finance rejection rates are continuing to increase across institutions and that regulatory revision and technology are considered the most effective ways of narrowing the trade gap. Finally, the panel turned its attention to regional perspectives from Africa. Panellists provided an overview of emerging solutions for improving access to finance in these regions, including the introduction of an intra-African payment system to encourage local bank intermediation for trade finance. 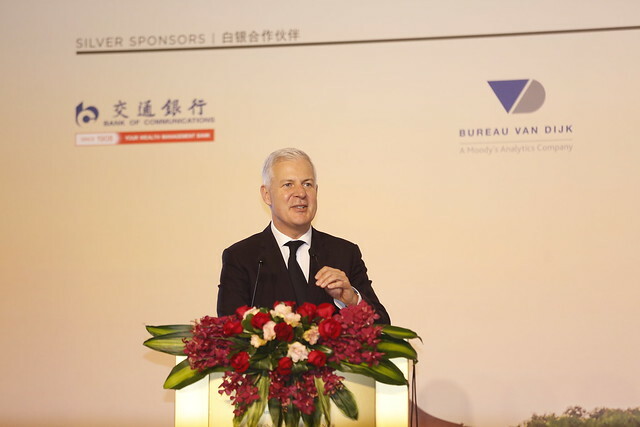 With this year’s conference taking place in Beijing, a key breakout session focused on the role of Asia as a key link in the global supply chain. In particular, restrictions on production capacities and the introduction of new regulations on suppliers have increased investor concerns over the performance of Asia’s supply chain. The session, led by Christian Hausherr, Product Manager Supply Chain EMEA Deutsche Bank, covered a wide range of topics related to supply chains, including the restrictions that produced shifts in Asia’s supply chains, the rising importance of environmental and social governance standards, and the emergence of new technologies, such as blockchain. Click here to see this year’s Annual Meeting agenda. Follow @ICCBanking and @iccwbo for more updates from Beijing.